What happens when you put a Google engineer in a car with a member of the Cherokee Nation? 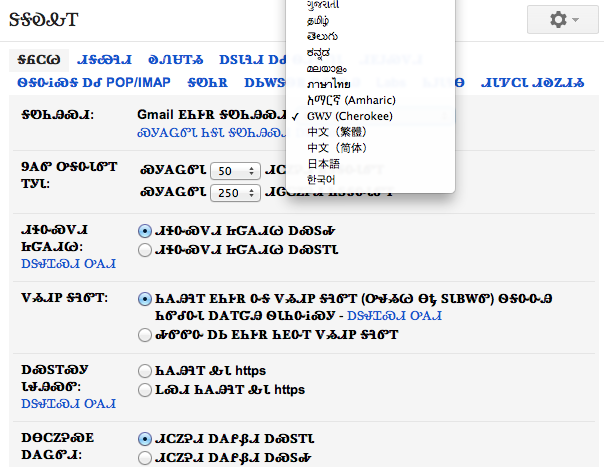 Well, something we think is pretty amazing: Gmail in Cherokee, or ᏣᎳᎩ (pronounced "jaw la gee"), Gmail’s 57th language. So if you speak Cherokee (ᏣᎳᎩ) or know someone who does - or if you are just interested in learning more, you can switch to Cherokee in Settings. We're always looking for ways to make it faster and easier for you to find your messages using search in Gmail. So starting today, you can now search emails by size, more flexible date options, exact match and more. This means, for example, to find emails larger than 5MB, you can search for size:5m or larger:5m or to find emails sent over a year ago, older_than:1y. 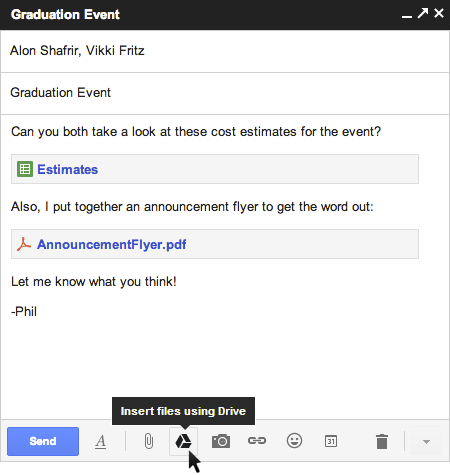 These changes go hand in hand with other recent enhancements to search such as the improved autocomplete predictions and a field trial for instant results from Gmail, Google Drive and more as you type.